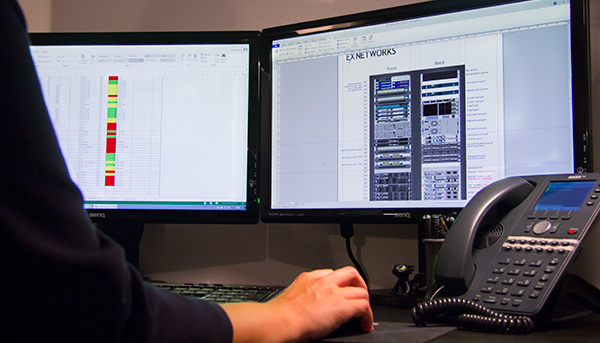 EX Networks have a wide range of colocation options across a number of London and UK data centres. We can provide bespoke solutions whether you need a single server or a private fully managed cage. A list of our data centres can be found on the map above, or by clicking here. As well as standard colocation setups, EX Networks can provide a number of managed services, ideal for customers who don't have the technical ability to manage their colocation solution, or for customers who don't have the resource in London or the UK. We can provide flexible power options in all our datacentres, whether you need power aggregated between your racks/cage or if you require 3-phase power, we have you covered. EXN can provide flexible, scalable and secure colocation space allowing you to start with a single server and scale to multiple racks within the same facility. Space can be customised to meet your compliance requirements. EXtraNet gives you remote control over your datacentre estate. View real time and historical power usage, reboot individual power ports. EXtraNet gives you a single portal for all EXN services. EXN can bundle in a wide range of connectivity solutions . All packages come with multihomed IP transit as standard, with optional MPLS point to point circuits, leased lines and cloud connectivity to AWS and Azure.